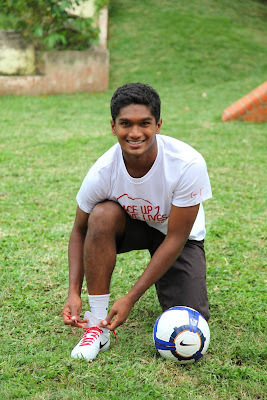 BoLASEPaKO.com - a simple view on Singapore Soccer: Hariss Harun - Ambassador for the Nike (RED) campaign. 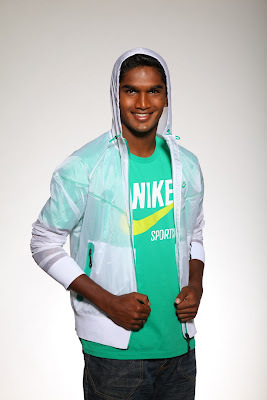 Hariss Harun - Ambassador for the Nike (RED) campaign. We understand you’re also an ambassador for the Nike (RED) campaign. How can football help in spreading the message? "It’s a great idea using football, as it’s a sport that is very popular around the world. Personally, I’m glad to be involved in this campaign as it lets me give something back to the community. It also makes me realise that growing up in Singapore, I’m very fortunate compared to some of the suffering the children are going through in Africa with HIV/AIDS." Are you already wearing the Nike (RED) laces (pictured above)? What do you hope to achieve as an ambassador? "If there’s one thing I’d like to say to the youths in Singapore, it’s to never take anything for granted. HIV/AIDS is not something to take lightly. As an ambassador, I want to tell people to be positive and honest with themselves. It’s important for them to be more responsible, and love and protect their bodies. We should also have an open mind, and to look past the stigma of people who have HIV/AIDS." Have you managed to get your friends and family involved in this campaign as well? "I have relayed its message to them; they understand what’s going on, and are very supportive of what it’s about. 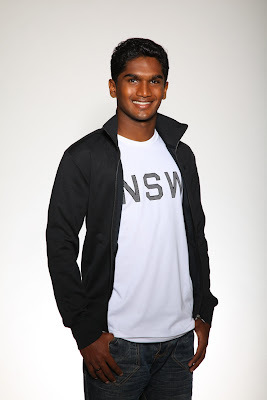 My parents are happy and proud that I’m a part of something so thoughtful, and on such a global scale." Apart from being an ambassador, you’re also one of the youngest captains to take to the field. Do you feel a lot of pressure from expectations? "Initially, there was, but I’ve learnt to live with it. One important lesson from watching professional footballers is to not let personal or external issues affect what happens on the field, because you have to be professional as it’s what you do for a living." How old were you when you first got into the game? "I was about six. I think I was watching a game on TV at my grandma’s place with my father and uncle, and I found it really exciting and appealing. I started playing in the void deck with my neighbours after that, and I haven’t stopped since then." When did you realise this was what you wanted to do as a career? It was when I was selected for the school team in primary five or six. For that level, the training was hard, but I told myself that I had to make it, especially after watching National Team players like Indra (Sahdan Daud) and (Noh)Alam Shah. I looked up to them and I wanted to be like them, playing for Singapore." Was it a difficult journey? 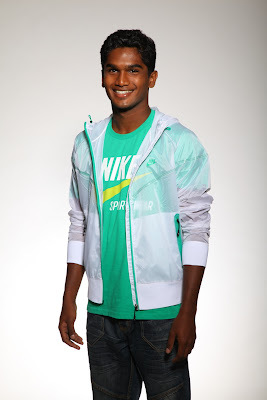 "I had a few disappointments in my youth, like when I tried out but wasn’t selected during the Singapore Sports School trials at 13. I didn’t let that affect me, and it helped that my parents were always encouraging and supporting me. It was easier to put it behind me with their support. They were even there during my training sessions in the youth team. That’s when I realised, “If my parents believe in me, then why shouldn’t I believe in myself?” What’s great was that I was called up for the NFA (National Football Academy) the following year. From then on, I’ve made it a point to step up to any challenge." Other than your parents, who else have been your biggest inspirations? "Steven Gerrard. I’ve followed Liverpool closely for a long time, and ever since he became their captain, he’s been carrying the team well for many games. He’s consistently inspired them to many wins, and his drive really inspires me." As a defensive midfielder, are there any other players you watch to try to emulate? "I’ve been looking at Xabi Alonso and (Cesc)Fabregas very closely. They’re very attack-minded players actually; it’s good because it’s two fields I get to develop." Has your life changed after becoming a recognized athlete here? "I actually have a few people asking me for autographs. What’s funny was that in school, one of my lecturers’s actually approached me for one! It was really embarrassing, as it was in front of my whole class. He even took a picture with me!" Is it difficult balancing sports and school? "Lately, it’s been crazy. Being in poly, it’s not easy as you have many reports and projects coming at you fast, but you get used to it. I’ve been doing this since I was 14, so it’s not too different." What advice do you have for young budding talents that are starting to develop their talents as well? A lot of people will definitely feel and say that it’s almost impossible to balance such a schedule, but it all boils down to how well you take the pressure. Discipline and time management are the most important factors. You can still have fun, but you have to know where your priorities lie." Do you manage to have a social life then? "My friends make fun of me all the time, saying I don’t have one (laughs). But I definitely take the time to be with my family, and also meet up with friends for meals. We mostly like to hang in Changi Village to grab a meal." Do you play any other sports apart from football? "I’ve tried table tennis and badminton, and I’ve come to realise that I have no hope in table tennis (laughs). I’m okay in badminton. I’m still better with my feet than my hands." What are your long-term goals in regards to your football career? "Most professional players stay in the game mostly till their early to mid-30s – unless you’re Aleksandar Đurić (laughs). I’m currently doing my Diploma in Sports & Wellness Management in Nanyang Polytechnic, and I hope to take up other courses along the way to enrich myself as well. It’d be a dream to play overseas, even before I started playing with the Young Lions. I’m looking to continue playing well, and hope for the opportunity to come along. It’d be great to play a top Asian league, and a bonus if it was in Europe." How different do you think your life would be if you weren’t in football? "I’d probably be working in a fast-food outlet or a 7-11. At this age, if I wasn’t a footballer and earning what I’m earning, that’s what I’d most likely be doing part-time to contribute to my family. I’m very grateful to have this opportunity, and it feels great to be able to reduce my family’s financial burden." Since it’s already 2010, what are your World Cup predictions? "I think it will be a close game between Spain, Brazil and England. A dream final for me would be Spain and Brazil though. It’ll be quite a spectacle as both countries are fantastic attackers." Finally, have you made any New Year’s resolutions? "To qualify for the Asian Cup, because I think we have a strong chance. I hope that the Lions have a good year in 2010. Personally, I just want to work hard, study hard and be a better player." 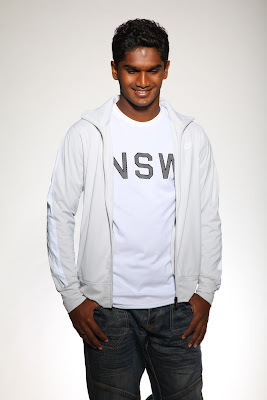 Singapore (December 1st, 2009) – On the day before World Aids Day, some of the world’s best footballers joined Bono at the announcement of a partnership between NIKE, Inc. (NYSE:NKE) and (RED). Didier Drogba (Chelsea), Joe Cole (Chelsea), Andrei Arshavin (Arsenal), Marco Materazzi (Inter Milan), Denilson (Arsenal), Lucas Neill (Everton), Clint Dempsey (Fulham) and Seol Ki-Hyeon (Fulham), came together in London yesterday to announce a partnership between NIKE, Inc. (NYSE:NKE) and (RED). In making the partnership announcement, Mark Parker, President and CEO of Nike Inc., Susan Smith Ellis, CEO, (RED) and Professor Michel D. Kazatchkine Executive Director of the Global Fund to Fight AIDS , Tuberculosis and Malaria were joined by footballers from around the world and U2 vocalist and (RED) co-founder Bono, to emphasize the need for global action and participation to eliminate AIDS in Africa. The Nike and (RED) concept is a simple one that invites people to “Lace Up. 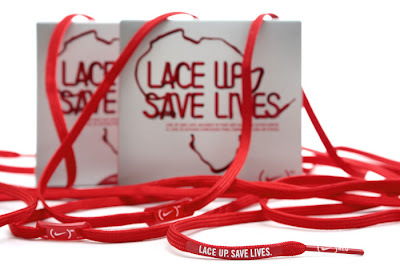 Save Lives” by purchasing a pair of NIKE (PRODUCT)RED™ laces. One hundred percent of the profits from (NIKE)RED laces will be split equally between The Global Fund to Fight AIDS, Tuberculosis and Malaria, which funds AIDS programs that provide medicine for those living with HIV, and Nike football-based community initiatives that deliver education and understanding around HIV/AIDS prevention. This unique partnership delivers programs that both medicate and educate. (Nike)RED laces will be available December 1st at Nike Store locations and key retailers worldwide. 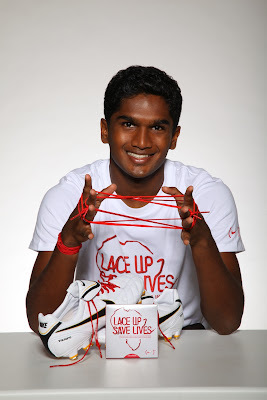 Here in Singapore, the laces can be purchased at the Nike Flagship Store in Wisma Atria at SGD$7.00 per pair. Additional (NIKE) RED products will be introduced in the coming months. To show their support for this meaningful cause, national football players Precious Emuejeraye, John Wilkinson, Hariss Harun and Indra Sahdan will also lace up in support of the campaign.